Today, we have over 900 staff supporting more than 8,000 people in local communities across Australia. As an organisation that first began in the northern suburbs of Melbourne, Neami has since become a valued partner in regions across Australia. Neami has demonstrated time and again our ability to enter new markets and roll out new services in a timely and efficient manner. Our well-resourced and integrated Head Office functions support the governance and operational demands of service delivery. This includes robust administrative, managerial, financial, risk management and quality assurance systems, as well as communications and marketing; people, capability and culture; research and evaluation; learning and development; projects and innovation; business development; and information communication technology functions. Our national footprint ensures significant capacity to scale up initiatives quickly; allowing us the opportunity to leverage the experience and relationships created by our research and evaluation team to implement a try, test and learn approach. Neami was first formed in Melbourne in 1986 and launched at the Heidelberg Town Hall in 1987. Neami’s founding members were John Cohen and Margaret Tomkins. In 1988, Neami was incorporated after two years of building alliances with local, carer, consumer, health service providers and community members. Neami sought to address the growing housing needs of people leaving hospital and identify the gaps in services for those experiencing mental illness and work with consumers to fill those gaps. Originally Neami was named North Eastern Alliance for the Mentally Ill. In 1998 Consumers and the Committee of Management sought to remove the emphasis of “mentally ill” and chose to use the acronym of Neami with the mission of “improving mental health and wellbeing in local communities”. By 1994, Neami had grown from two to approximately eight staff providing housing and rehabilitation and support programs to people residing in Darebin. 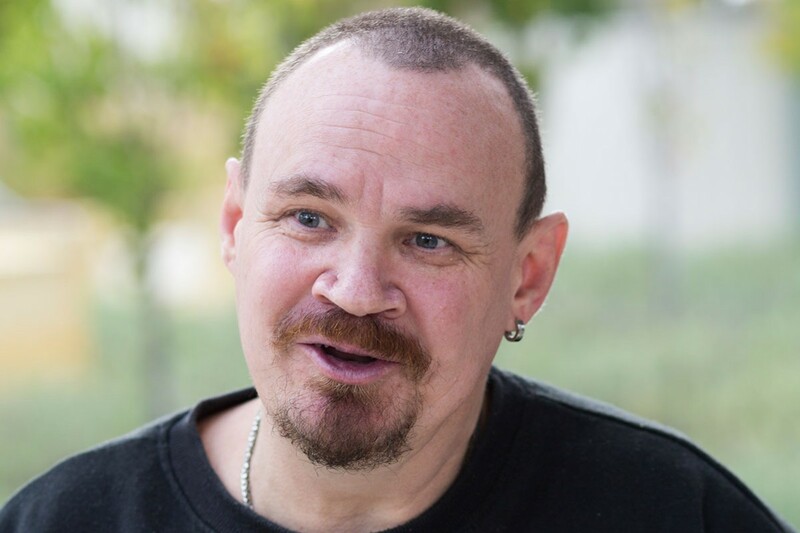 In the five years that followed, Neami went through a transition from small community agency to the major provider of rehabilitation and support services for people with a mental illness in the Northern region of Melbourne. From 1990 to 1996, Neami’s growth and development were primarily due to Victorian government policy changes. These changes developed the integration of mental health services into general health services. The policy initiative led to a considerable de-institutional program with the decommissioning of some hospital services and the transfer of services to community settings. In 2000, Neami commenced improving services by implementing outcome measures, developing new partnerships with local community service providers and strengthening consumer participation at all levels of the organisation. Neami became an accredited organisation through the Quality Improvement Council in 2003 and renewed this accreditation in 2013. Neami secured funding through the Housing Accommodation and Support Initiative (HASI) in New South Wales and commenced service establishment in 2003. Since this time Neami continued to grow in NSW and now has ten services operating in New South Wales. During this time, Neami was also successful in obtaining funding in South Australia and commenced service establishment in 2004. Neami currently has services operating in both metropolitan and country South Australia. 2007 saw Neami obtaining its first Federal Government funding with the Day to Day Living in the Community Program and the Personal Helpers and Mentors Program (PHaMS). This funding lead to expanded services in New South Wales and Victoria and the establishment of our first service in Western Australia, previously located in Armadale, now Bentley. Neami established two service sites in Brisbane in 2009 after obtaining funding through the Personal Helpers and Mentors Program (PHaMS). PHaMS funding. In 2010, Neami was successful in securing funding to deliver the Way2Home Assertive Outreach Service in inner-city Sydney, with the service located in Darlinghurst. The growth of Neami service provision in Victoria also occurred in 2010, the Prevention and Recovery Care (PARC) facility opening, and the addition of two initiatives aimed at strengthening capacity to provide services to consumers with high support needs; Intensive Home-Based Outreach and Care Coordination. Neami services in Victoria continued to expand in 2011 following the merger with Inner East Mental Health Service Association (IEMHSA). The team of 30 support workers are based within four service sites located in the eastern suburbs of Melbourne. 2011 saw Neami increase the number of service sites in South Australia to five after receiving funding through the Housing and Accommodation Support Partnership. Neami also began delivering the Aboriginal Assertive Outreach Service in 2011, which provides support to Aboriginal people sleeping rough in the Sydney Coastal Region and Metropolitan Sydney with a focus on Inner City, Inner West and the Eastern suburbs. 2012 saw a major change to the way Neami conducts Consumer Participation, with the Service Development Team embedding the recommendations of a long-term project which assessed how consumers can have valuable input into how we design and deliver our service. In 2013 we experienced major change and growth in Victoria, with the recommissioning of Mental Health Community Support Services. We opened new sites across metropolitan Melbourne, doubling our Victorian workforce, allowing us to further support those living with mental illness in local communities. We also expanded in South Australia, establishing a Crisis Respite Service which helped to reduce the need for hospital stays. This was also the year that nearly every Neami team came to include a person with lived experience of mental health issues, including our homelessness services. With the expansion of our services, Neami’s name changed to Neami National in 2013. Accompanied by a new logo and brand identity these changes updated the public identity of Neami to better reflect the organisation. In 2014 we developed our first Quality, Safety and Clinical Governance Framework, conducted an external audit of our corporate structure and established our expanded presence in Victoria and South Australia. We also stepped into the role of lead agency for Central Adelaide and Hills Partners in Recovery. In Victoria, changing government funding priorities and re-tendering meant we were forced to close the Neami Splash Arts Studio after nearly 20 years, which was a sad event for consumers and staff alike. From 2015 we saw more change, as we began to establish positive relationships with the then newly established Primary Health Networks and registered as a National Disability Insurance Scheme (NDIS) provider. We also continued collaboration with clinical teams in the Cairns Community Care Unit and began recovery-oriented clinical services via a Stepped Care model in Adelaide. Evidence from our Collaborate Recovery Model Fidelity Study and Sub-Acute Services Evaluation demonstrated improved consumer outcomes. We also established Mental Health and Wellbeing Australia, known as Me Well, as our NDIS provider, leaving Neami best positioned to continue to operate as a specialist mental health provider. Today, we have over 900 staff supporting more than 9,000 people in local communities across Australia. We have confidence that the future will be as bright as we continue our story through the work we do to improve the mental health and wellbeing of individuals and communities.